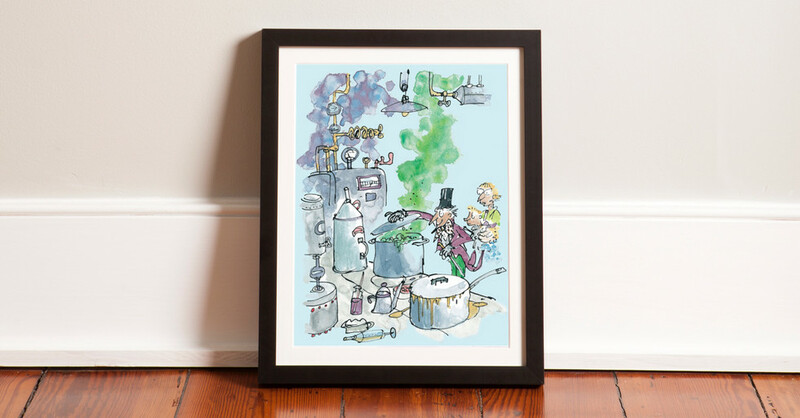 Characters conjured up by Roald Dahl, brought to life through Sir Quentin Blake's iconic illustrations and available now as framed art prints. 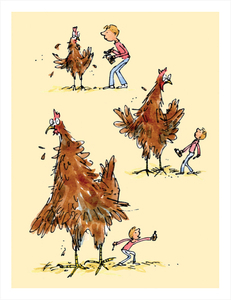 These art prints are made from the original illustrations of Sir Quentin Blake, whose drawings grace the covers and inside pages of many a Roald Dahl book. Each one arrives with a pang of nostalgia, ready-to-hang after you've customized the frame to your liking. 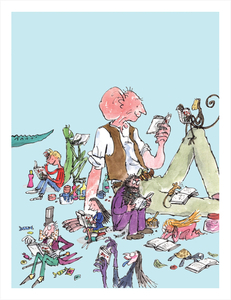 One of the world's most beloved storytellers, Roald Dahl's rise to prominence began in the 1940's with short stories known for their unexpected endings and a string of the most imaginative children's books ever written. Born in Wales to Norwegian parents, Dahl served in the Royal Air Force during World War II, becoming a flying ace and rising to the rank of acting wing commander. His first published work was "A Piece of Cake", a story about his wartime adventures published by The Saturday Evening Post in 1942. His first children's book was The Gremlins, about the mischievous little creatures of Royal Air Force folklore who took the blame for any problems encountered by RAF aircraft. 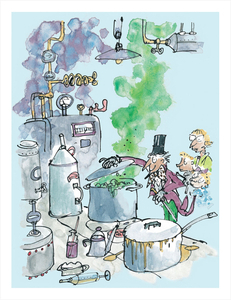 From there, Dahl went on to create some of the best-loved children's stories of the 20th century, including James and the Giant Peach, Charlie and the Chocolate Factory, Matilda, Fantastic Mr. Fox, The Twits, George's Marvelous Medicine, and The BFG. These stories are currently available in 59 languages, with global sales estimated at over 200 million. Delve into his entire catalog on Amazon. 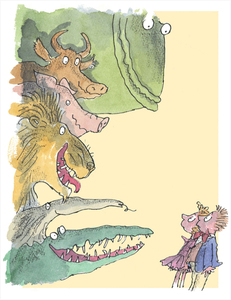 Sir Quentin Blake (born December 16th, 1932) is an English cartoonist, illustrator and children's writer. 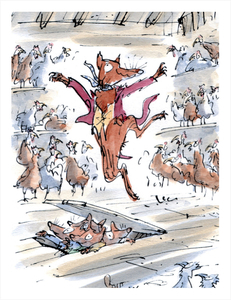 Though he may be known best for these illustrations, he's made a wide and lasting contribution as a children's illustrator and in 2002 was awarded the International Hans Christian Andersen Award, the highest recognition available to creators of children's books. 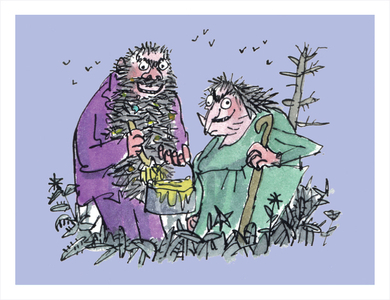 His famous illustrations of The Twits, Matilda and Fantastic Mr. Fox were featured on a special series of stamps from the Royal Mail, issued in 2012 to celebrate Dahl's work. Each of these images is printed on museum quality, archival photo paper. Pigmented inks bring the original watercolors to life and are guaranteed not to fade for decades. 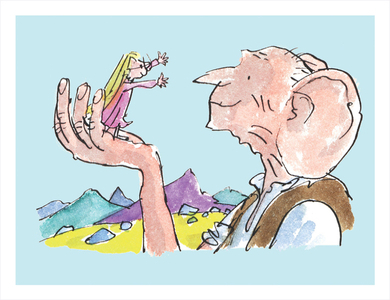 Roald Dahl's Marvellous Children's Charity helps to make life better for seriously ill children and young people in the UK, supporting children with the biggest needs. 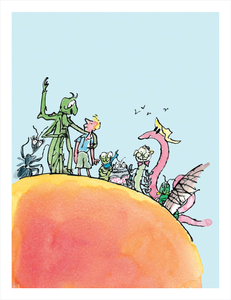 The foundation helps in many ways including through Roald Dahl children's nurses, family hardship grants and research. A portion of sales from these prints go directly to the charity, which you can learn more about here. 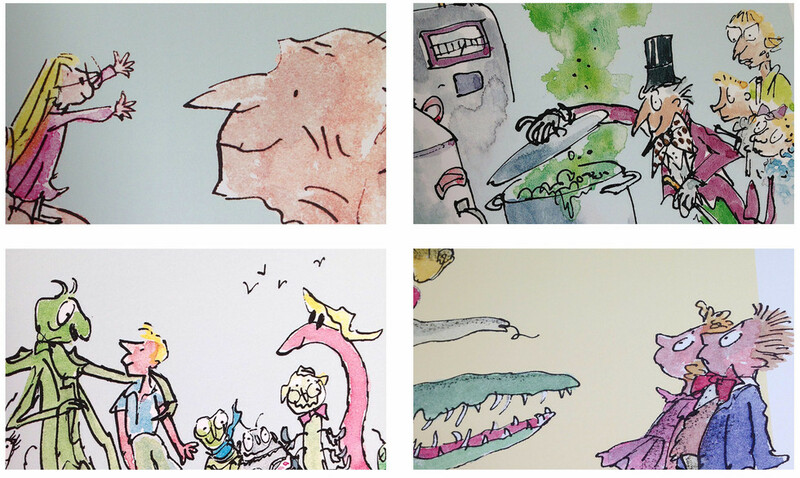 Bring the characters from these stories into your home or a child's bedroom.